My friend has forgotten her password for her facebook account. We decided to take this chance of hacking on samhacker.com. It goes really fast and easy. 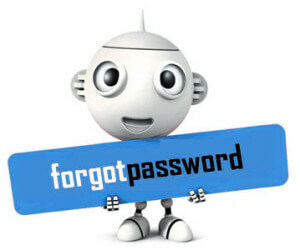 If you have forgotten your password or you just want to hack a facebook account take this chance. I want find my ow. Good. Nice. Help me a lot. Really superb and amazing feature. My boyfriend's Facebook account got hacked. Everything from the email to the contact number was changed. We were desperate for help. Good thing we found samhacker. It really helped us! my girlfriend's facebook account was hacked so i used this site to recover it. Hack Facebook account password? I go to SamHacker.com to hack Facebook password, hack WhatsApp account instantly without downloading any hacking software, it’s free. You can also hack Viber, hack SnapChat, hack Messenger, hack all chat app on your iPhone or Samsung. Or maybe hack Facebook on your spouse’s iPhone, Samsung Galaxy phone. In general, the hacking system can hack Facebook account password, also hack WhatsApp account, hack and view the chat conversation on any smartphone running iOS or Android, even Windows phone. Hack Facebook, Hack WhatsApp Account Password For USA, AU, UK people. We help US people to hack Facebook password, but also we can provide the hacking service to AU people, to UK residents, to all people around the world. All you need is your browser on your PC or phone to connect to our site to hack the Facebook account you want to hack. And if your target person prefers WhatsApp to cheat on you, we can hack that WhatsApp account too. WhatsApp, today, has become one of the most popular mesenger system to stay connected with family and friends. Many couple use WhatsApp as the main tool of conversation. Lovers love WhatsApp. WhatsApp is secure so most people might begin to think of having access to someone else’s WhatsApp account in order to read the messages they sent or received. They want to keep track of the activities and opinions of their spouse, their girl friend, their boy friend or simply their children. Many times, a wife wants to have proof of cheating to get divorced with her husband. In a world where technology solves almost every problem, hacking into someone’s WhatsApp account is not a big deal. SamHacker.com, a free online automated tool helps reveal WhatsApp account password instantly. Using SamHacker.com to hack WhatsApp requires almost no effort from the user. Also, since it is an automated system, users don’t need to have any programming knowledge or other technical skills. Users don’t need to download or install software of any kind; they only need to provide the system with some information and within minutes, receive the hacked password and have access to the WhatsApp account that users want to hack. As all of their hacking activities are done via the internet, SamHacker.com has assured users that they do not have to worry about any virus damaging their computer system. These days there are many products and websites that claim to deliver 100% safe and efficient WhatsApp hacks. Had all of them worked, everybody would have heard about their success. Unfortunately, most of these websites and products turn out to be scams, using people’s curiosity to trick them into giving away their own passwords. SamHacker.com is, reportedly, one of the few websites that assures to hack into a WhatsApp account efficiently and truly delivers. SamHacker.com can hack WhatsApp account for free. We provide our hacking services on almost all types of account. You can hack WhatsApp account, you can hack Facebook password, you can hack email, you can hack all chat app ie hack Viber, hack Skype, hack SnapChat account, hack Facebook messenger password, … and our main goal is to help people recover their lost WhatsApp / Facebook / Viber / SnapChat,… passwords. SamHacker.com assures users that under no circumstances, would they ever publish the users’ information on their website. With positive reviews by over hundreds of satisfied users, our system is fast gaining popularity and is on its way to becoming an internet phenomenon. SamHacker.com publishes insightful article on how to hack a Facebook account. SamHacker.com recently published an article on how to hack a Facebook account. 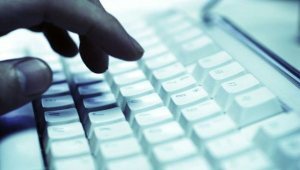 SamHacker.com is an online hacking tool, well known for hacking Facebook accounts, Hotmail, Gmail, AOL and more. From its foundation, the site has already garnered a lot of praise from users for its excellent service and reasonable pricing. This online hacking tool is, reportedly, being recommended by many of its users to people looking for an easy hack. Facebook is one of the most popular social media networks today with millions of users all over the world. People use this virtual platform to share thoughts and opinions, keep up with family and friends, meet new people, and follow the brands they like and many more. These days, most Facebook users want to have access to other Facebook users’s accounts for a variety of reasons such as jealousy, curiosity, anger, possessiveness and suspicion. Today, hacking into a Facebook account is very easy because of hacking tools and services like SamHacker.com. According to SamHacker.com, jealousy is one of the top reasons people want to learn how to hack a Facebook account. An individual might want to break into a partner’s account to find evidence of cheating. Sometimes, a hack puts the user’s mind at ease or it could signal the end of a relationship. Another reason people want to learn how to hack an account is due to concern for their children’s well being. Instead of demanding Facebook passwords, parents can gather information about their children’s Facebook activities, without raising their suspicions. Obsession and anger are other reasons that commonly drive an individual’s need to hack a Facebook account. The Facebook hack tool at Samhacker.com is, reportedly, completely safe and secure. They use a UFD2 decrypter as well as private proxies to keep users identities safe while hacking a Facebook password. The hack tool is user friendly and since it is an automated system, users do not need to download any additional software. Only 1 place where you can learn and “hack a Facebook account” for free: I go to SamHacker.com, the hacking system which does not require you to do any survey or weird things. You may need to know the Facebook email address used to login to the Facebook website in order to hack that account. However, you can also hack Facebook without that info if you know the Facebook profile of the person: you can hack Facebook account by hacking the Facebook ID profile with SamHacker. On the Internet, people search for “how to hack someones Facebook account password” and they found a lot of site claimed to hack or crack or steal the Facebook password for you. We do not need to cite here those sites but one thing you need to know: THEY ARE ALL FAKES! All those sites are FAKES! They are all requiring you to complete a survey to show you something that they claimed a hacked password. But at the end of the survey, you will get NOTHING! Nothing, yes! You just give them some money once you finish the survey and you cannot hack any Facebook account. Be warned! So you should just “skip” any site asking you to do a survey to get a Facebook account hacked. It’s false advertisement. Facebook currently is one of the popular social networking website that attracts the most internet users over the world. Facebook is an useful and effective tool for people to make friends, share emotional moments, keep contact with others and even hide private secret. So, finding a the best way to hack Facebook account is a hot topic with many people from various regions in the world. Surely, most of people do not know how to reach the goal; please read our post that offers you some ways to hack Facebook password. “Why someone wants to hack my Facebook account while there is nothing valued there?”, you may asked. Just think again, your harmless information on Facebook page can be a goldmine when they fall into the hands of wrong people. Cyber-crime now are more and more interested in personal info and moments shown on Facebookers’ profile. We feel free when sharing every aspects of lives with others online but now it’s high time to tighten our grip around our personal details on social world like Facebook. Why Do People Want To Find A Way To Hack Facebook? Before starting to learn to hack someones Facebook account, you need to figure out the reasons and incentive for the hack. Your kids are on their Facebook all the time, being parents you will feel annoyed and worried about that. You are not able to know what they are doing with their social account, even if you cannot examine all activities of your kids via Internet. All your thought always make you feel uncomfortable and insecure, you want to do anything (even hack their Facebook account) to protect your children. 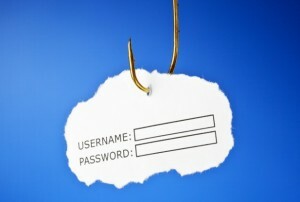 Now the best solution for you is breaking (cracking) into his or her Facebook account. Only by this way (hack Facebook account) can you monitor what your child is doing on his or her Facebook account and then find the way to protect them. Keep watching your kids by hacking Facebook. You are a wife/husband and you are suspecting that your spouse are cheating on you. Maybe, he/she always evades talking to you and spends all his/her time on Facebook and talking to others. It is extremely unacceptable. You should find the reason why he or she can treat you like that, whether he or she is betraying or not. So, what do you need to do in order to protect your family? Just find someone who can help you hack into your spouse’s Facebook account to find the truth and bring your spouse back. 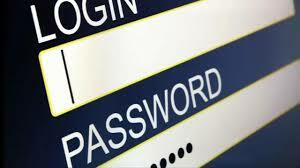 Keep watching your beloved partner by using our Facebook password hacker tool. If you are a qualified staff in your company, all your opinions and suggestion are praised by the superior, and therefore, you will be hated by colleagues. Perhaps, your colleagues want to hack into your Facebook account to find your project, or find your secret to knock out you. 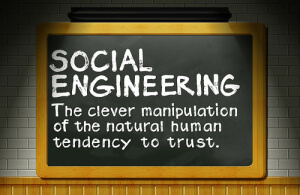 They want to steal your project or public your secret to defame you. So, if your Facebook account is hacked what should you do to protect yourself? Let visit or website, we will show you the way to protect your Facebook account from bad guys, or better, hack Facebook account password to find what you want to know. In this article, we will show you few useful and possible ways of hacking Facebook account so that you can apply them to find the best method to protect your family as well as yourself. This is a method to break into someone’s Facebook account by using a Fake Facebook login page to record all information include email and password of the user. For instance, a hacker create a fake login Facebook page that is similar to the login Facebook site. If the users don’t take notice of something wrong on this type of page, they will enter all information (email, password) on, and then this page will save their information and send to the hacker’s email. It’s mean, the hacker has now successfully hacked the user’s Facebook account password! Don’t let him hack your own Facebook account: make sure to enter Facebook.com in your browser to login to your Facebook account, to avoid to be hacked! This method works by making use of relationships or making relationships with many people to get their belief. By harvesting these values, the hacker can cheat people to give him some security information which can help him to get the victim’s password. That’s an usually used way to hack Facebook account by most hackers in the world. In implementing the plan of how to hack a Facebook password, a keystroke logger is often a vigilance tool which you can record the web or Facebook activity of your target subjects. But note that you cannot install keystroke logger to hack WhatsApp account because WhatsApp account can be hacked online only. This tool is obtainable by both hardware and software. Its effect is certificated by many users. See, people hack people’s Facebook! The today world is crazy :)! For WhatsApp hack, you can monitor the Android phone, Windows phone or the iPhone of the target person. In order to hack WhatsApp account, you need a hacking service like SamHacker.com hacking service. We can hack WhatsApp account easily within few minutes but there is of course a fee. This hack Facebook account, hack WhatsApp account hacking method is so effortless to learn and do. With this process you will pretend as the owner of the Facebook account you want to hack, then you want to reset your password when you didn’t remember it. It is the popular method in hacking Facebook password but it’s hard to perform: you should have the backup resources in order to use this method to hack Facebook passwords. However, if this article is helpful for you and you want to learn a way to hack Facebook account, let visit our own website. The best and the easiest way to do what you want, is pay someone to hack Facebook password for you or to hack WhatsApp account password for you. I mean, hire someone with the confirmed tech skill to hack Facebook password for you. Of course, you should have money in your hands first, in order to use this kind of service. In fact, it is not expensive and with the price as we are offering on the site, you can hack any Facebook account password with just a few dollars, in fact, just as you pay for 1 diner. Just scroll up and start using our site to hack into someones Facebook account, hack WhatsApp account without downloading anything. Especially, no surveys at all! On the internet, you can find out many websites that sell software to hack email password and hack Facebook password, or hack WhatsApp account. If you want to enjoy Facebook or email hacking service just pay and download the program to hack. Do such programs work? You should ask yourself before try them out. It can be worth spending money on them or you throw money down the drain. If you are concerned with how to hack Facebook account password, how to hack WhatsApp account, go to the Contact page and get in touch with us. Remember we are SamHacker.com which is an unique and legit site to hack Facebook password. We are trying our best to improve the system from day to day, so our customers will enjoy the best service. We highly appreciate if you spend 1 minute to place a five-star rating to our service. Furthermore, we are happy to get your feedback, this is to ensure that we meet your expectation. Thank you!